My gardening journey goes on, no matter how and what goes on. Almost every once in a while, I introduce new plants in my garden, be it with the help of seeds I saved from the last year, or ones I collect from somewhere or I buy them from some gardening supplies stores; or with the help of seedlings and saplings that I procure every now and then. So, carrying forward on the journey, since the winters are round the corner, I decided to reach out and grab some winter plants in my garden. 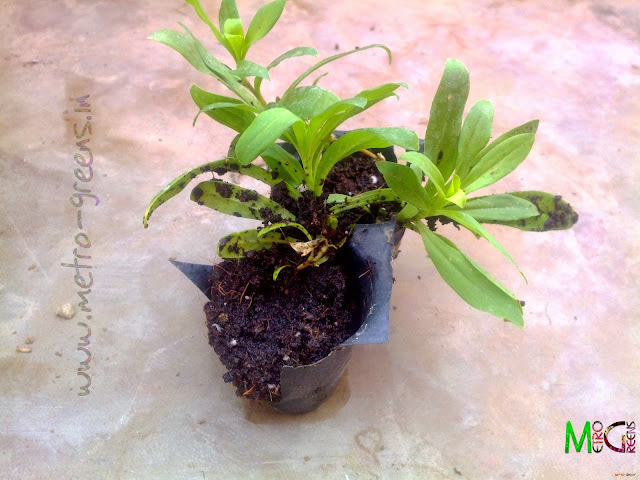 This time around, I brought home some adeniums, planning to put them indoors, once they grow and bloom. 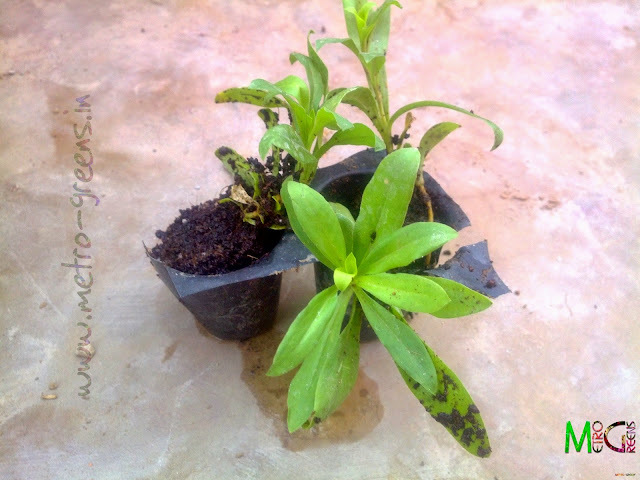 Apart from adeniums, I got some saplings of dianthuses as well. It’s too early to get my hands on the Dahlias, the ones I was getting were small ones, which I don’t like quite much. My last year’s stint with the dianthuses was quite a good one to force me get some dianthuses this time again. Though, from a plant, it’s not possible to make out the colour of bloom you’ll get, and if you want to, you have to rely upon the information, the plants seller provides you until you get to see the blooms for yourself. 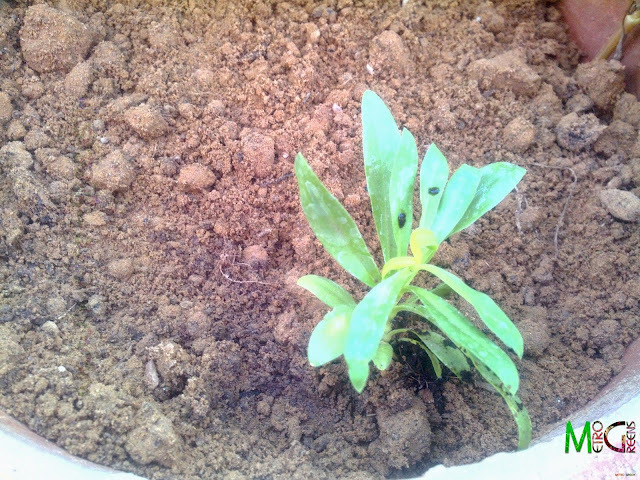 Dianthus Sapling planted in a pot. 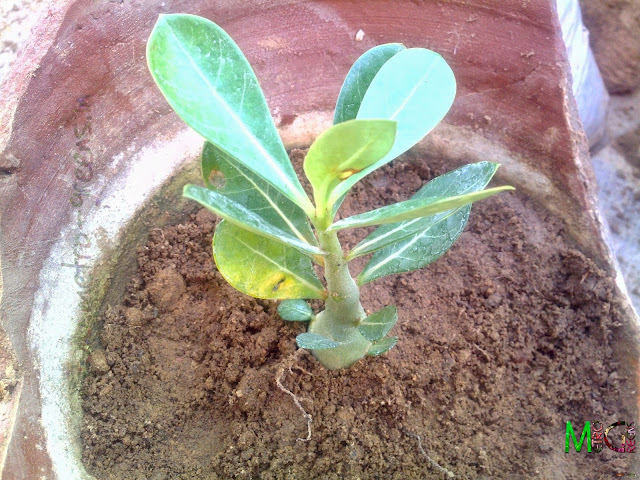 Adenium Sapling planted in a pot. I'll move this to a proper plot once this grows a bit bigger. Apart from the saplings, I bought seeds of lemon grass. While browsing the internet, I bought some Lotus seeds, which I wanted to have in my own garden, ever since I saw people planting them in containers, even on rooftops and balconies. So, went ahead and bought some lotus seeds from ebay. And as per the instructions, I have them soaked in water to allow germination. 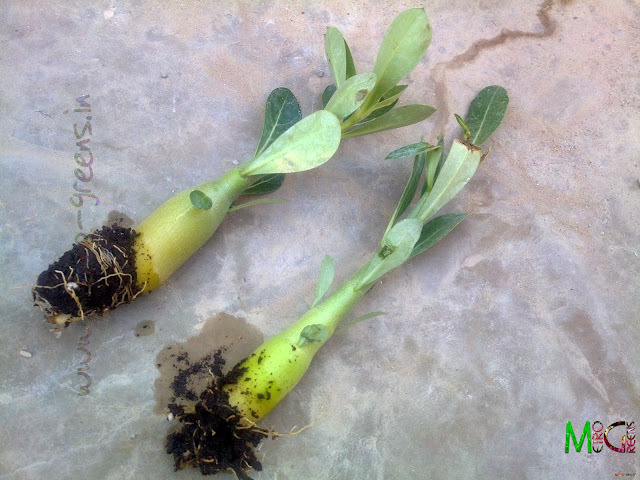 More on that in the next post, by then, hopefully, the seeds would germinate as well. I’ll leave you guys here for today. Will be back next week with a new post. Till then, keep trying and HAPPY GARDENING!